Eddie Murphy's Coming to America 2 is scheduled to hit theaters in the summer of 2020. It's been 31 years since the original comedy debuted and fans have been waiting that long for a sequel to come around. Back in January, Murphy made the announcement that he was officially on board and that the sequel is finally moving forward after years of speculation. The comedian also announced that Netflix's Dolemite Is My Name director Craig Brewer has been chosen to direct the sequel. When Eddie Murphy made the announcement, there was no release date revealed. However, Paramount Pictures has now given Coming to America 2 a release date of August 7th, 2020. The California Film Commission had previously awarded the studio a $13 million tax credit last April, but that was only if the movie was able to start within 180 days from the credit being offered. Obviously, that did not end up happening, but production will more than likely begin either this spring or summer to prepare for the summer 2020 release date. While Eddie Murphy is attached, no other actors have been announced for Coming to America 2. When the comedian announced that he was coming on board to do the sequel, he released a statement talking about his excitement in "bringing all these classic and beloved characters back to the big screen." This has led to speculation that Arsenio Hall, Shari Headley, John Amos, and James Earl Jones will all end up reprising their roles from the 1988 original. Bringing back Hall has to happen. The story will reportedly revolve around Akeem, the pampered African prince who must return to America to find his long-lost son and true heir to the throne of Zamunda. Former Black-ish showrunner Kenya Barris is currently rewriting the Coming to America 2 script, which was written by original writers Barry Blaustein and David Sheffield. Eddie Murphy is producing with Kevin Misher. Craig Brewer and Murphy just finished working together on Netflix's Dolemite Is My Name and the comedian is anxious to get to work with the director again. While no production start date has been revealed, we should start to get casting information within the next handful of months. Coming to America is a 1980s comedy classic, one that will tough to follow, even 31 years later. With that being said, if the story details remain to be accurate, there's a whole lot that Akeem can experience coming into New York City in present day. A lot has changed in the world since 1988 and the character could be in for an even bigger culture shock than before. There's going to be a lot things for Eddie Murphy and crew to mock this time around, so it will be very interesting to see where the story decides to go. 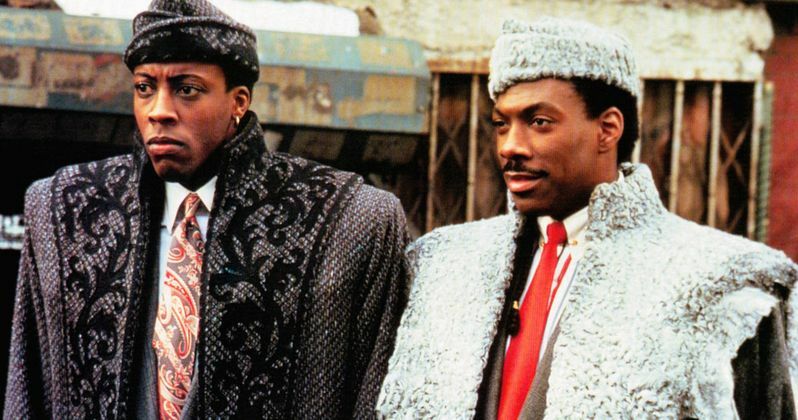 The Coming to America 2 release date news was first reported by Variety. Do We Really Need Coming to America 2?